After ten long months of wrangling and two elections, the King of Spain has watched as his country's Prime Minister took his oath. 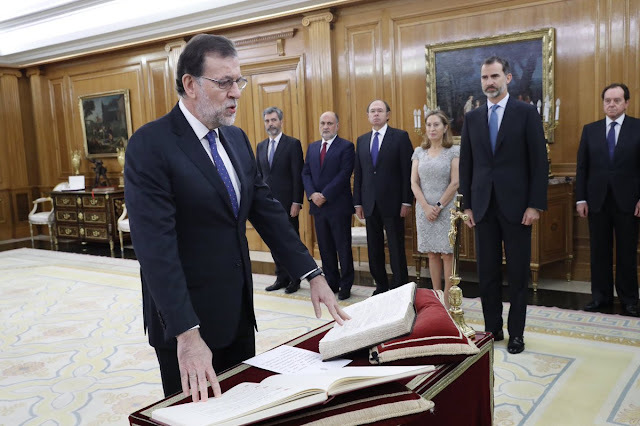 Mariano Rajoy took the pledge at the Zarzuela Palace, ending almost a year of political stalemate with Felipe VI watching on. Here it is, the most liked royal Instagram image of October 2016. As social media takes an ever bigger place in how the regal story is told in 2016, we can get a good idea of what it is about royalty that makes it popular from the images that get the hearts. And there are no prizes for guessing who comes top when it comes to Instgram likes. 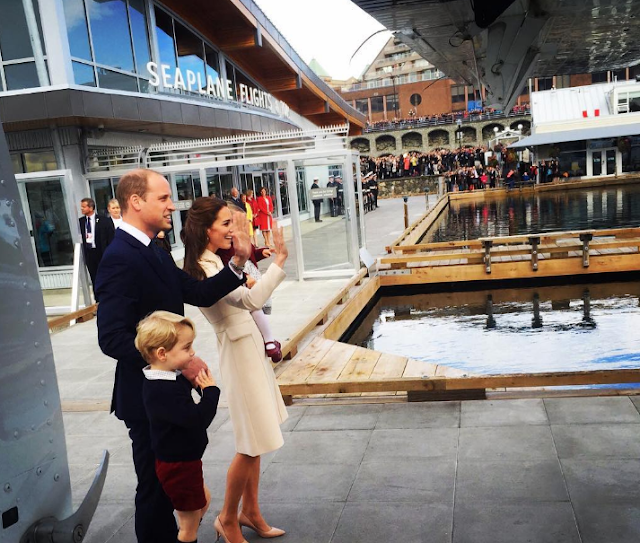 The most popular royal image shared on official social media this month features the Duke and Duchess of Cambridge with their two children as they left Canada at the end of their tour. 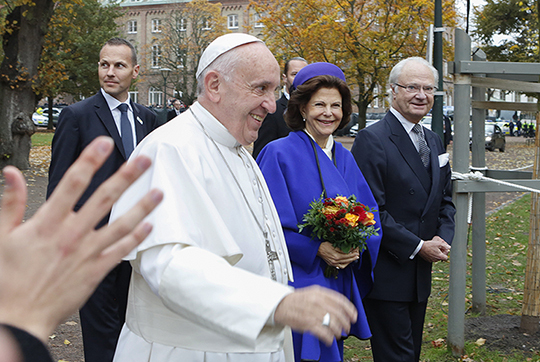 King Carl XVI Gustaf and Queen Silvia have welcomed Pope Francis to Sweden for an ecumenical commemoration of the Reformation. They met in Lund, where the Lutheran World Federation was founded, for this special prayer service which is part of a year of commemorations marking the 500th anniversary of the Reformation. 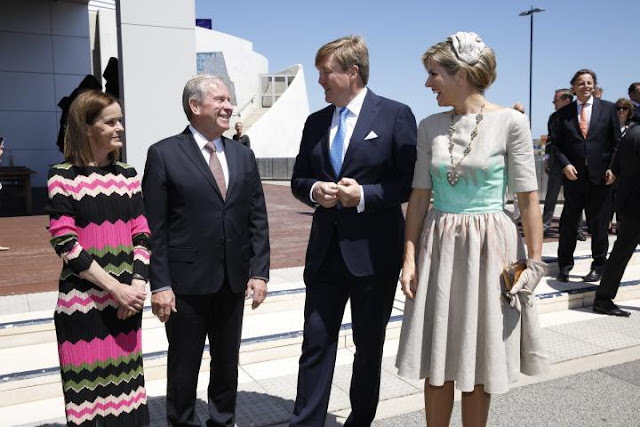 King Willem-Alexander and Queen Maxima of the Netherlands have begun a five day State Visit to Australia with a sunny day in Perth. The focus of this trip is consolidating the long standing ties between the two countries and the royal couple began by looking back at the way that those links have been built over past centuries. One week, seven days, too much royal fabulousness to deal with. We've had tiaras, hats, red carpets, princesses playing football in heels...it has been a picnic of perfection from start to finish. To sum it all up, here's the Royal Week - in Numbers. From life under the ocean waves to a glittering red carpet event, it's been a packed seven days for Crown Princess Mary of Denmark. We've had hats, coats and evening dresses and ribbons that need cutting as well as a chance to hear Mary talk about an issue close to her heart. Sit back and enjoy, here's Mary's week. The weather has turned for autumn and suddenly the glitz has arrived. It might be the season of coats and jackets but the Royal Wardrobe had upped the glam factor this week and given us some standout looks that would sparkle at any time of the year. From fifties inspiration to a princess brave enough to take on the hardest colour of this season, here are five fabulous moments from the week just gone. You can vote in the poll on the main page (also on the right hand side of this page) and come back later this week to find out who topped the ballots. Here's this week's Royal Wardrobe. Letizia likes to keep it modern. Along with her husband, she is known to try and assert a modernising influence on royal life. It doesn't always work. For a set of audiences on October 27th, she chose a very casual look and adding heels didn't quite cut it. Can a queen really be too casual? There was a trio of tiara triumphs on display last night in Oslo as the Norwegian Royal Family hosted the traditional dinner held every year for members of the country's parliament. 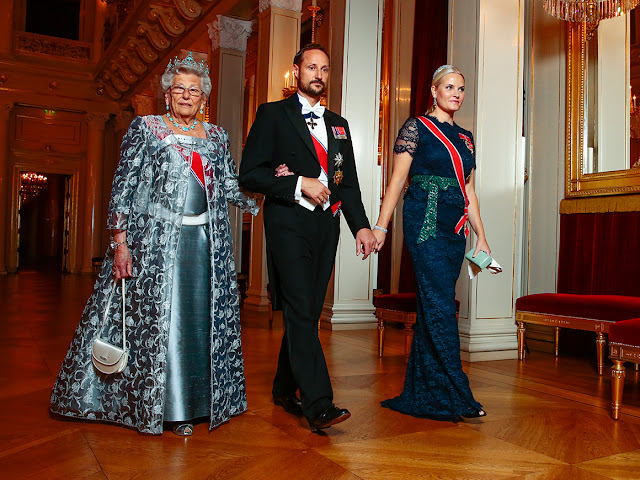 The event has been held ever since 1906 and included a speech from the King of Norway and, this year, a menu featuring vegetables grown in the palace gardens. Plus tiaras. Three glittering, gorgeous tiaras. We got pearls, we got diamonds, we got turquoises. Yes, turqoises. 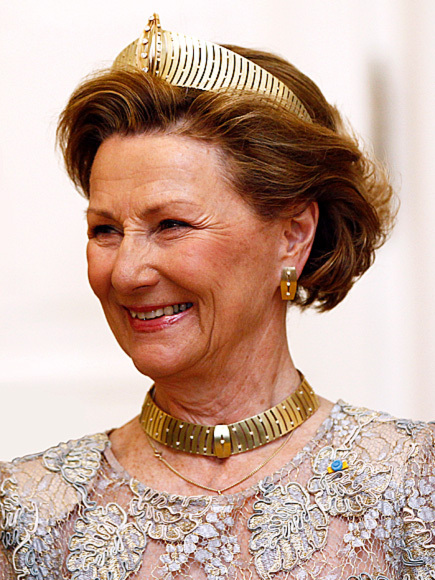 Here are the diadems that sparkled at this traditional Norwegian royal event. 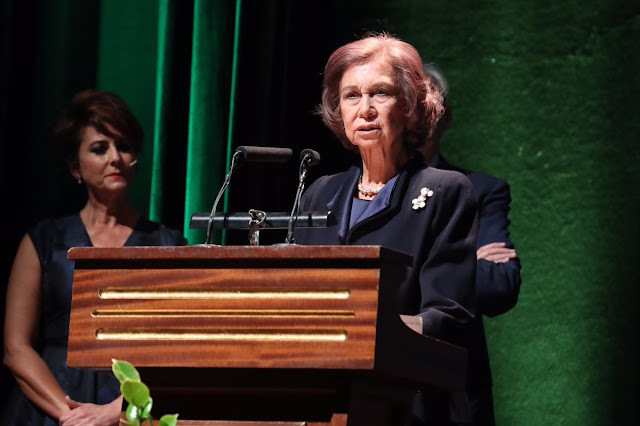 Their mother loved dance and music, her children have inherited her passion and that shared devotion to the arts all came together as the daughters of Ingrid of Denmark presented awards that carries her name in Copenhagen. 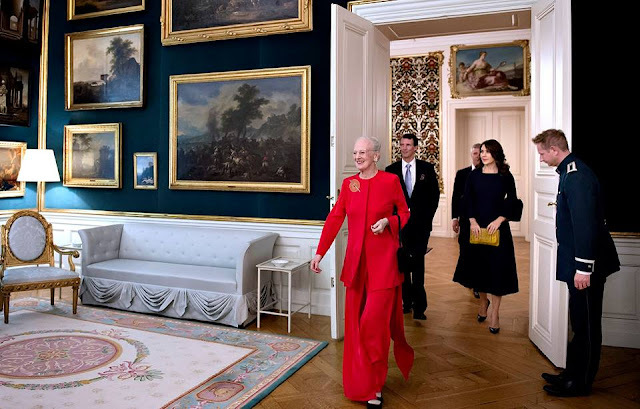 Queen Margrethe II, Queen Anne-Marie and Princess Benedikte shared the duties as they handed over the Queen Ingrid Music Grants in the Danish capital on October 26th. When you're the heir to the throne, it's the kind of thing you can do. While other husbands are thinking hard about a special treat for the missus, the Prince of Wales upped the ante on best presents with the wow factor and named a pub after his wife. 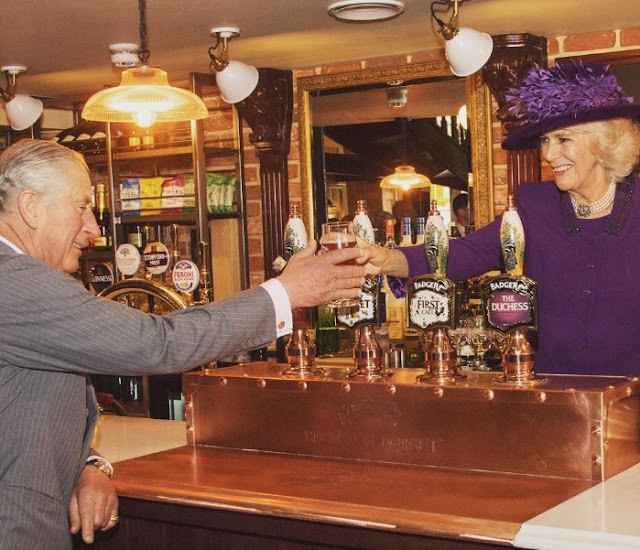 And to say thank you, Camilla pulled him a pint in the brand new Duchess of Cornwall pub in Poundbury. October is the month of mists and as Maxima made a visit to the eastern Netherlands, she became a very autumnal queen. 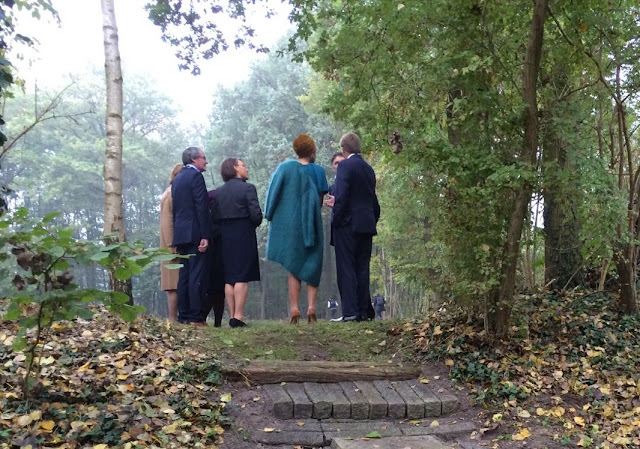 Surrounded by swirling mists, she and King Willem-Alexander made a regional visit to Almelo and Northeast Twente. The theme was using the past to build the future and the weather gave the whole trip feel of times gone. 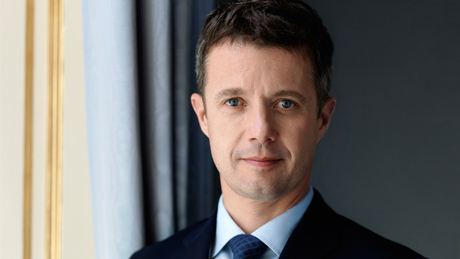 Crown Prince Frederik is back in action after a gym accident which left him with a neck injury. The heir to the throne of Denmark headed to Switzerland for an IOC meeting to make his first public appearance since damaging a cervical vertebrae while trampolining. And we got a fashion forward statement from Fred. Say hello to scarves. The Queen and the Prince of Wales have shared memories of a woman they loved and admired. 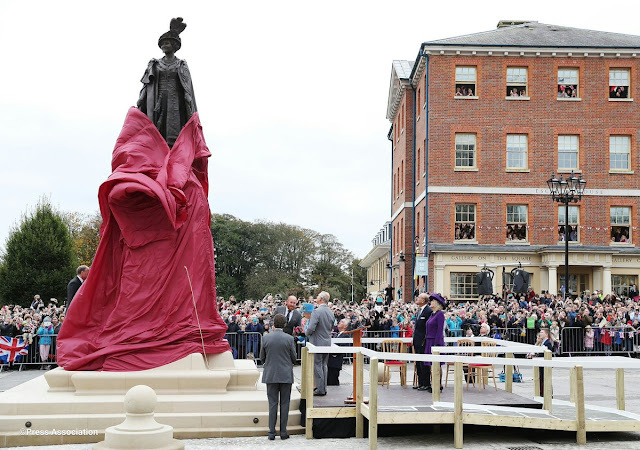 As they carried out a joint engagement in Poundbury with the Duke of Edinburgh and the Duchess of Cornwall, they remembered the Queen Mother. The beloved mother and grandmother was being commemorated in statue form. But the joy she gave her daughter and grandson was evident in their smiles and the moments when sadness crept into the memories. The woman who helped build the House of Windsor and the modern monarchy left a mark on her country's history but on a personal level in the lives of those she loved and who loved her back. When you're fifth in line to the throne and an all round hero, jackets aren't necessarily required. 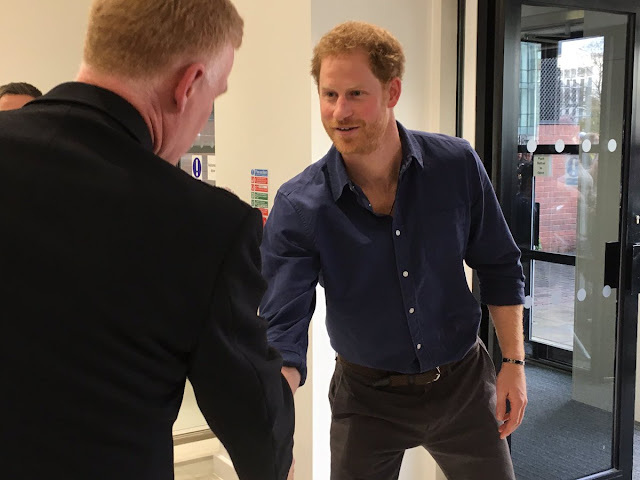 As Prince Harry toured Nottingham on a day of engagements, the smart suit of the morning was quickly left in the car and the royal kept it casual as he visited social projects in the city that are already dear to his heart. From dancing on ice to speaking with music, Harry packed in plenty on a day in Nottingham. It might well be the last royal reception for Rio returnees but it was still a big celebration for the stars of the greatest show on earth. 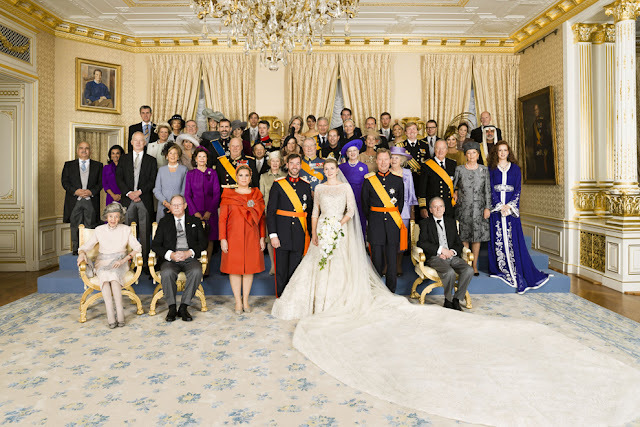 The King and Queen of the Belgians were joined by Princess Astrid as they welcomed their country's Olympic and Paralympics athletes to the Royal Palace in Brussels to celebrate their successes. 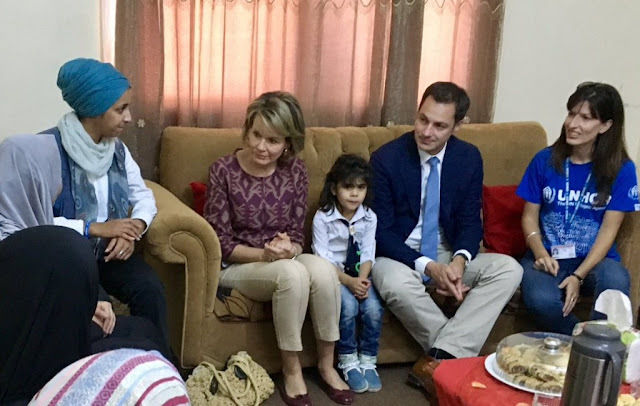 Queen Mathilde of the Belgians has spent several days in Jordan to learn more about the humanitarian effort to help refugees. Mathilde was there to get a fuller idea of how those fleeing Syria are being helped and how Belgian support is aiding that. Fourteen days, seven countries, two major anniversaries and quite a lot of fun. The first details of Prince Harry's tour to the Caribbean this autumn have been revealed and if you don't like the fifth in line to the throne, start looking away now. You'll be seeing an awful lot of Harry from the middle of November. She's the royal known for her love of literacy and promotion of reading, it's one of the most famous book prizes around. Put them together and what do you get? 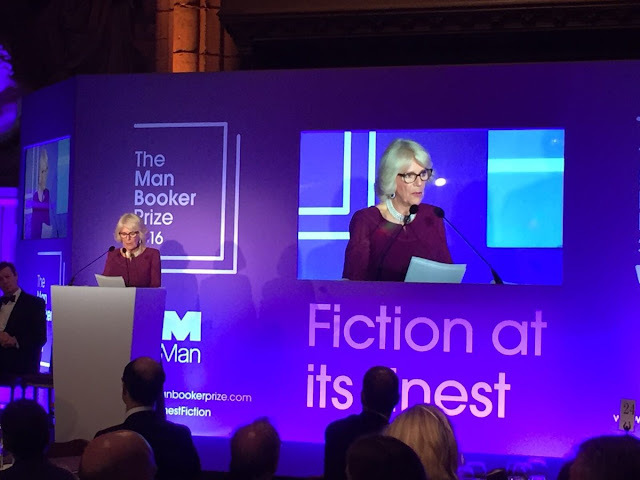 Camilla at the Booker, putting books at the top of the agenda - and that can only be a good thing. In the end, it was an easy win. Another variation on black and white, another victory in the Royal Wardrobe poll for Queen Letizia this month. The royal style icon is back on form. She is the successor to one of the most famous princesses of the 20th century, following in the footsteps of a woman whose adult life began on the silver screen and moved on to the gilded world of royalty. Princess Charlene of Monaco paid tribute to the mother in law she never met when she attended the Princess Grace USA Foundation awards in New York looking every inch the film start herself. 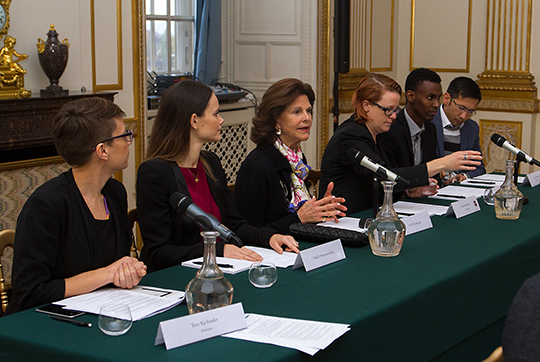 Queen Silvia of Sweden has never just been content to accept patronages and support causes. The Swedish consort is just as well known for setting up organisations to work in areas of big importance to her. And she has just been to Kuwait to support the work of one which has spent over twenty years trying to educate children and young people. One week, so many royal events. From Olympic receptions to major prize ceremonies, the ruling houses of Europe have been out and about in force. 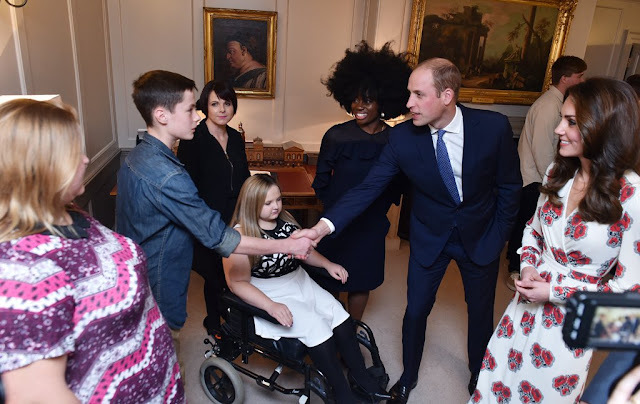 And for those moments you might have missed, here are those seven days and dozens of events boiled down to five - it's the Royal Week, in Numbers. 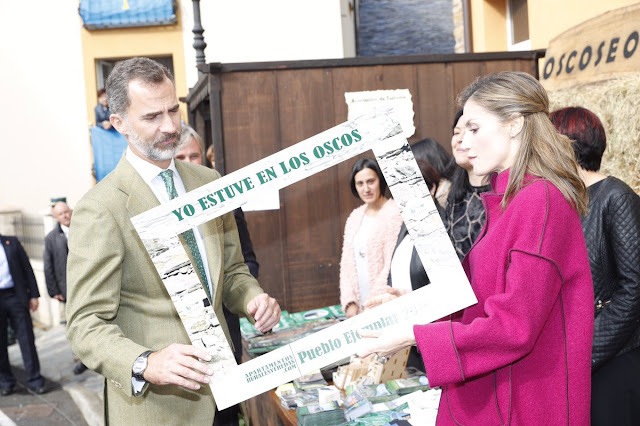 Felipe and Letizia are used to posing for photos but on a visit to an award winning community in Asturias on their three day visit there, the King and Queen of Spain encountered a whole new picture opportunity. But it didn't phase this pair of royals and the result was picture perfect. The royals of Europe seem resistant to autumn. The weather got colder and brisker this week which seemed to press a button somewhere in the Royal Wardrobe which removed sleeves, coats and any semblance of warmth from this week's style choices. And there wasn't a sign of a shiver anywhere. Here are five style statements from this week's Royal Wardrobe - don't expect any coats. They are among the most high profile prizes handed out in Spain and a regular point in the royal calendar. The Princess of Asturias Awards recognise excellence in the arts, sciences and humanities and are presented every year at a glittering ceremony in Oviedo. And while the royal whose name they carry, Leonor of Asturias, is too young to do the honours, there is still plenty of regal presence at the big event. For King Felipe took the two queens in his life, Letizia and Sofia, along as always for this royal highlight of the year. The Duke and Duchess of Varmland popped back to their duchy today. 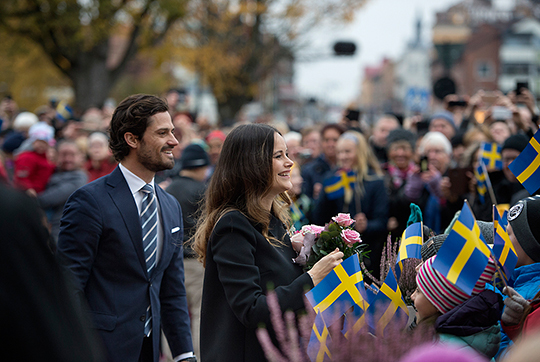 Prince Carl Philip and Princess Sofia of Sweden spent the day in the area, bringing back memories of their first trip to the duchy they call their own soon after their wedding last year. This autumnal trip included forests, sport and a bit of business as Sweden's newest royal parents enjoyed a day in Varmland. It was one of the saddest days in British history and today the Prince of Wales joined millions of people across the UK in remembering those who died at Aberfan. Prince Charles travelled to the Welsh village to join commemorations on the fiftieth anniversary of the tragedy which claimed 144 lives. 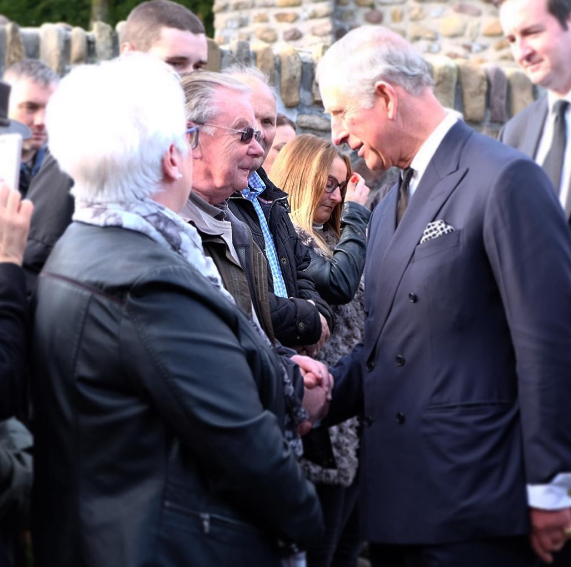 The prince came to mourn and to mark one of the worst disasters to affect Wales. 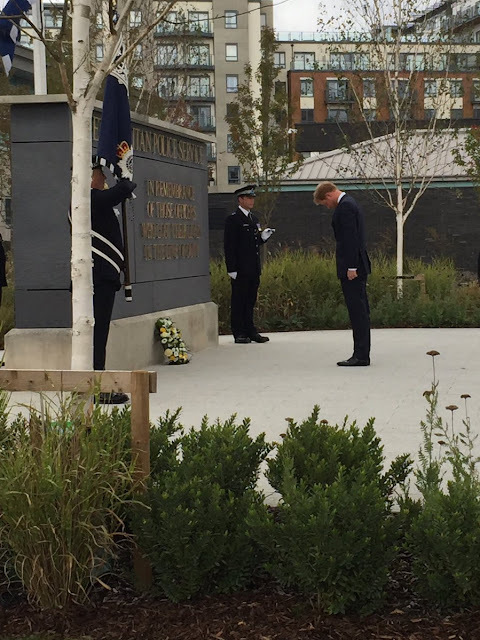 Prince Harry led tributes and remembrances at a service in honour of all those who have lost their lives while serving with the Metropolitan Police. The prince attended a service at Hendon Training School in Middlesex on October 20th 2016 where he paid his tributes by laying a wreath and bowing his head in remembrance. Have cape, will drop it. The Queen of Spain went for a cover up on her way to the Princess of Asturias Awards concert this evening and then thought better of it. Letizia is made of strong stuff because as autumn attacked Oviedo, this consort's cape work left her out in the elements in an outfit that would shiver in the summer. And that's before we get to the hair. The royal family that Stephanie de Lannoy married into on October 20th 2012 has one of the best collections of tiaras around. But on her big day, the new Hereditary Grand Duchess of Luxembourg chose a tiara much closer to home - her family diadem, worn by her sisters on their own wedding days. This royal bride followed her own tradition with a tiara filled with sentimental value. When you're the bride at what's being billed as the last big royal wedding of a generation then there's quite a lot of pressure on the dress. 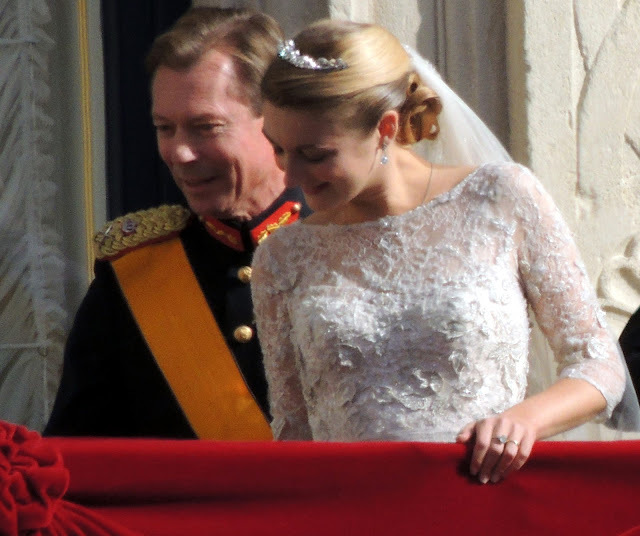 There was a huge amount of interest in the marriage of Hereditary Grand Duke Guillaume of Luxembourg and Stephanie de Lannoy on October 20th 2012, partly because of the stellar royal guest list and partly because the groom was the last heir to a throne of his generation to say 'I do'. When Stephanie stepped onto the red carpet leading to Luxembourg Cathedral, she certainly wowed in a wedding dress that did royal and modern all at the same time. It might have rained on her new dress but that didn't stop Queen Letizia of Spain topping the poll for this week's Royal Wardrobe. Her black and white outfit, by Felipe Varela, went straight to the top of the fashion charts and saw this royal fashion icon lead the regal way into autumn. After big parades to celebrate their success, it was time for a glittering royal finale. Team GB's Olympic and Paralympic stars gathered at Buckingham Palace for a reception celebrating their success last night. 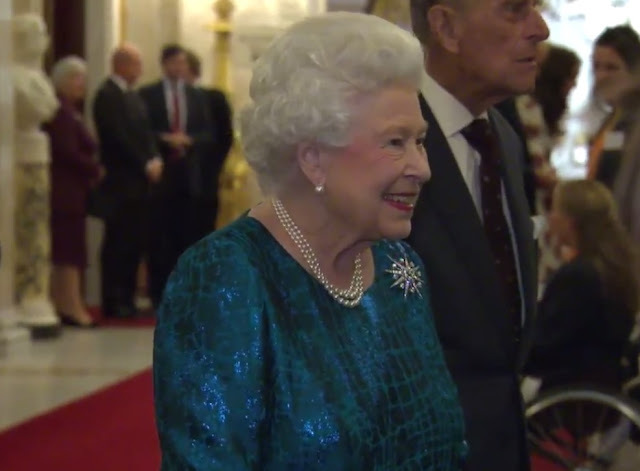 It was hosted by the Queen with many other senior royals in attendance - a truly regal ending to the fairytale of Rio. 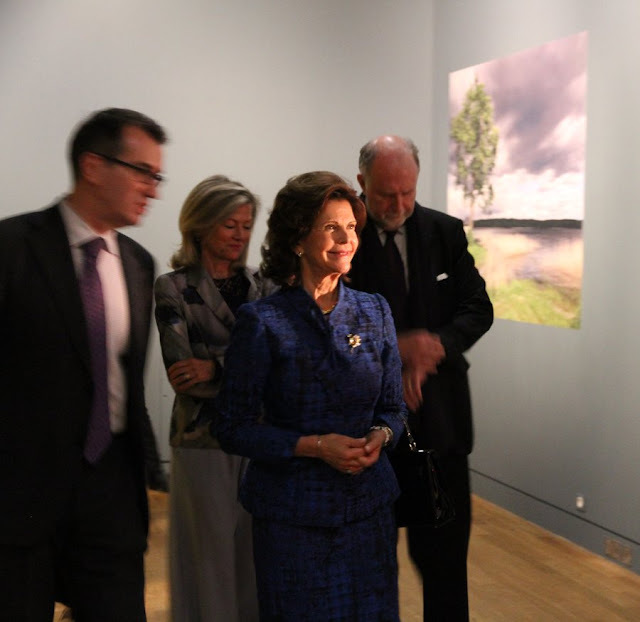 The Queen of Sweden reigned in Paris today. Silvia headed to the Louvre to see a collection of art loaned from Stockholm for a special exhibition on a man with links to both Sweden and France. Two kings, one queen and a lot of books. There was a right royal get together in Frankfurt today and all in aid of promoting literature. 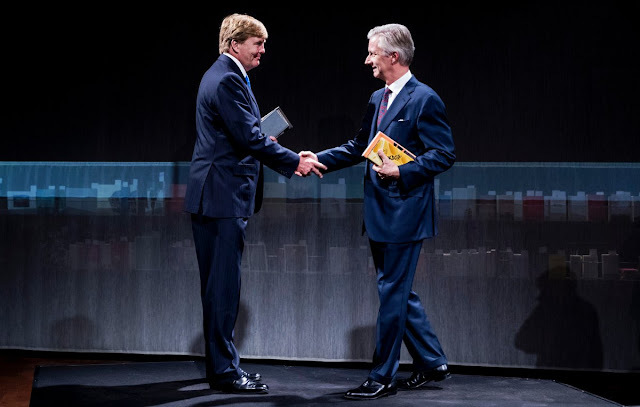 King Willem-Alexander of the Netherlands and King Philippe of the Belgians met in Germany to open a pavilion celebrating Dutch-Flemish culture and books as the Frankfurt Fair gets under way. They are works of art, pieces of history and things of beauty. 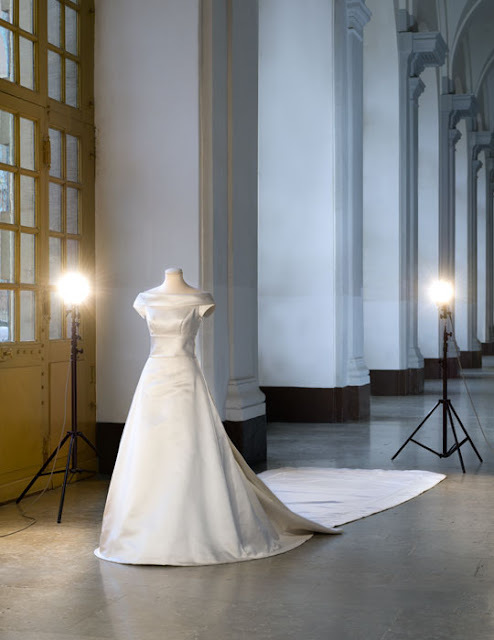 As a new exhibition opens at the Royal Palace in Stockholm featuring the five wedding dresses of the reign of King Carl XVI Gustaf, a selection of photos of the gowns have been released highlighting their true glory. From the simple satin of Queen Silvia to the light lace of Princess Sofia and everything in between, here are some fresh looks at the royal wedding dresses of Sweden. Three of Sweden's modern royal brides gathered at the Royal Palace in Stockholm today to relive their wedding days. 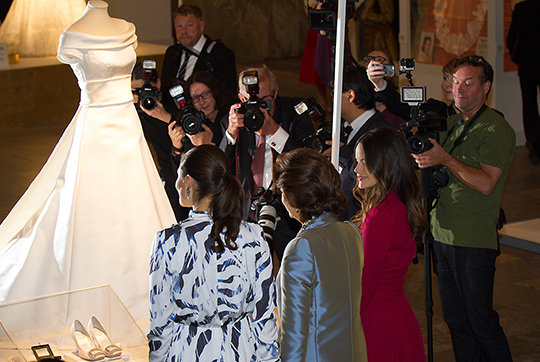 Queen Silvia opened an exhibition of the dresses worn by the women of the reign of King Carl XVI Gustaf for their marriages and at her side were two of the most famous royal brides of the past decade, Crown Princess Victoria and Princess Sofia. 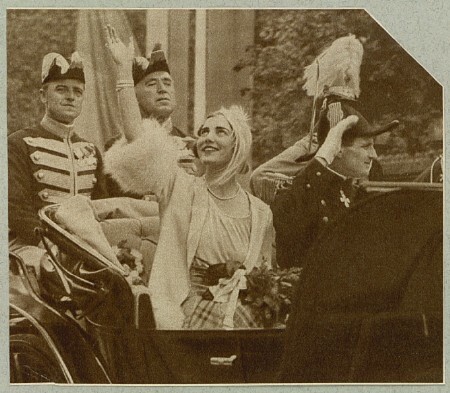 The royal brides of Sweden were surrounded by memories and they looked rather pleased indeed. Mary knows how to rock a jumper. As the Crown Princess of Denmark and her family appear on new stamps issued in Greenland to mark a wedding anniversary, Mary shows that national dress has a style of its own. 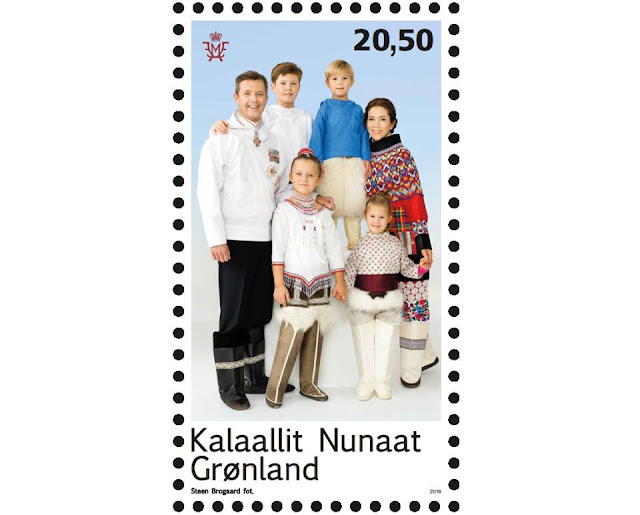 Along with her husband and four children, she has posed for photos by Steen Brogaard for the new stamp wearing traditional Greenlandic outfits. And it suits this royal family down to the ground. 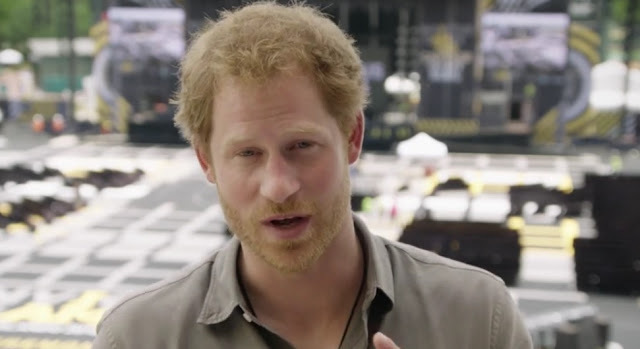 His heartfelt support for the military, for veterans and for those coping with injuries from battle is well known around the world and now Prince Harry has issued an official statement underlining how important this cause is to him. Following the publication of a story in The Sun newspaper, carried by other titles as well, claiming Harry had been speaking out, Kensington Palace issued a statement making clear the prince's position. It's been the busiest royal week for some time with every ruling house on the continent filling its diary and packing its days. From State Visits to new portraits, there has been a whole host of activity going on. To sum it up, here the Royal Week - in Numbers. State Visits mean State Dinners and that means tiaras. 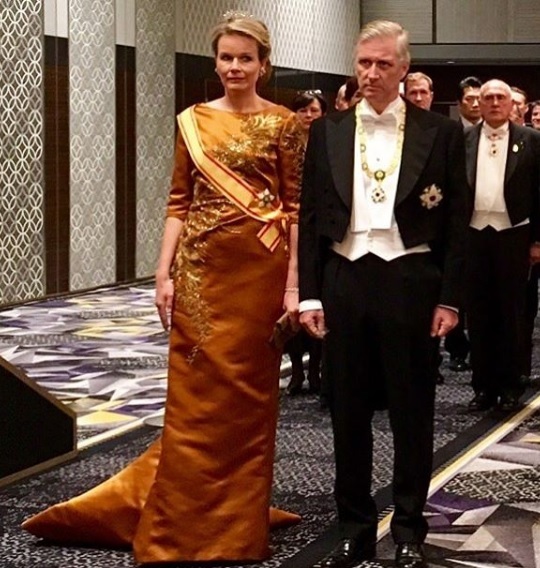 The Queen of the Belgians didn't disappoint, unpacking a diamond diadem for the gala banquet held in honour of her and her husband, King Philippe, at the start of their State Visit to Japan this week. Here's Mathilde's State Dinner Sparkler. The colours of autumn started to make themselves felt in the Royal Wardrobe this week. The golden hues of summer have been replaced by rich jewel shades or interpretations of this season's trend for pastel and patterns. There's a chance to pick your favourite on the poll on the main page so settle back and enjoy five of the standout looks from the past seven days - it's this week's Royal Wardrobe. Norway's Royal Family hosted the President and First Lady of Singapore in the week on a State Visit and that means a State Dinner. And we all know what a gala do means when it's held in a palace and part of an official trip. Yes, tiaras. Here are the State Dinner sparklers chosen by Queen Sonja and Crown Princess Mette-Marit of Norway for this glittering event. We have had several new images of the Queen this year as she marks her 90th birthday and now we have a new portrait, commissioned to celebrate another anniversary. The Queen has been patron of the British Red Cross for over six decades and the new painting celebrates her links to the association. 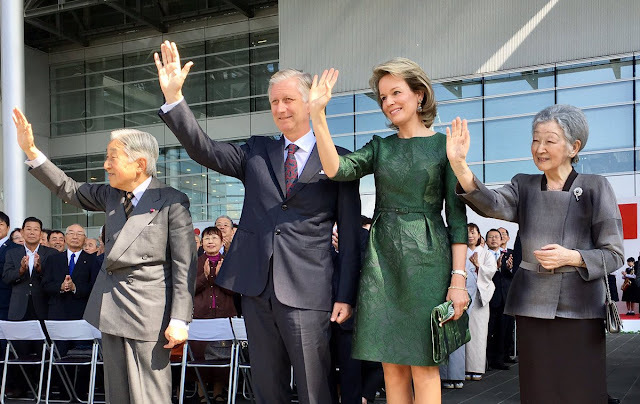 After calling Tokyo home for the best part of four days, the King and Queen of the Belgians bade the Japanese capital farewell and headed off to Osaka as their State Visit to the country continued. This latest part of their tour included more business. 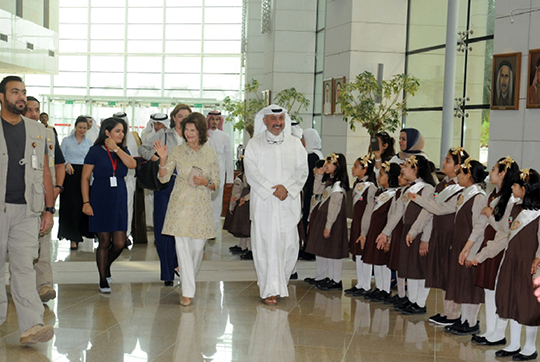 more culture and a chance to hear about the educational ties between the two countries. 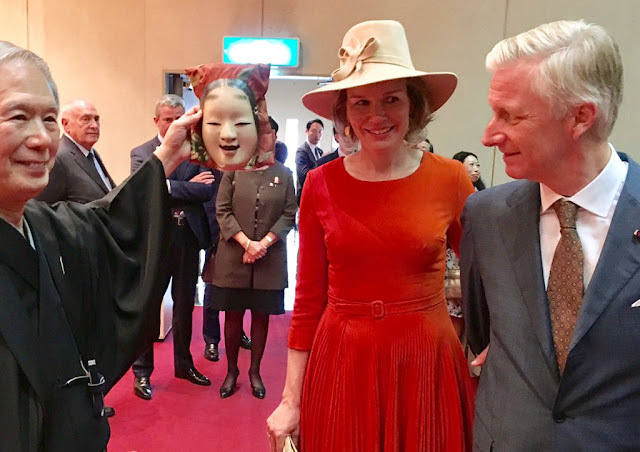 Welcome to the Belgian State Visit to Japan, day five. 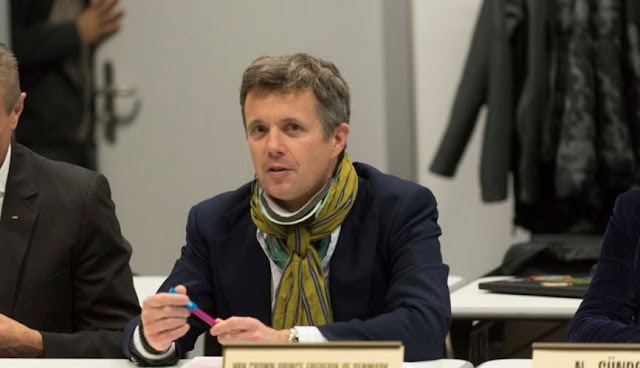 Crown Prince Frederik of Denmark has hurt his neck in an accident involving a trampoline. The Royal Household announced this morning that he wouldn't be attending an event celebrating the country's Olympic and Paralympic stars because he was injured. 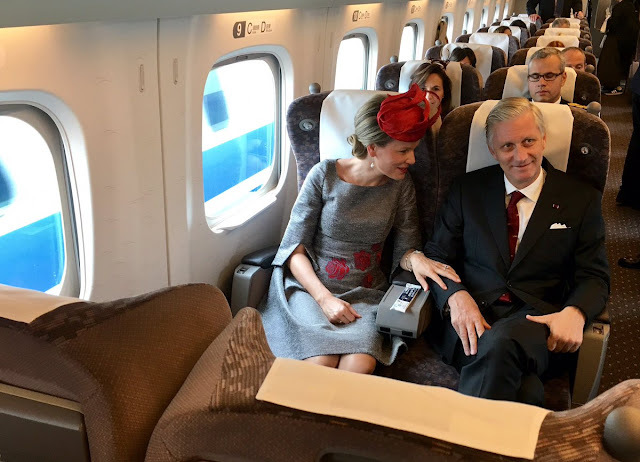 The King and Queen of the Belgians hopped back on the train on day four of their State Visit to Japan. This rail journey took them to a port to hear about cars. It was part of a day of engagements linked to the economy and business between the two nations. Day Four was all about the money. There's no real big deal usually when Queen Maxima heads home to Argentina for a few days. But her trip this October was a bit more special. For the very first time, Maxima visited the land of her birth in her role as a special representative of the United Nations Secretary General on Inclusive Finance. That's a pretty big deal. It's not been the best year for Spain's Royal Family and one of the clouds which has loomed large on its horizon throughout 2016, the trial of the Infanta Cristina, will come to an end within days. 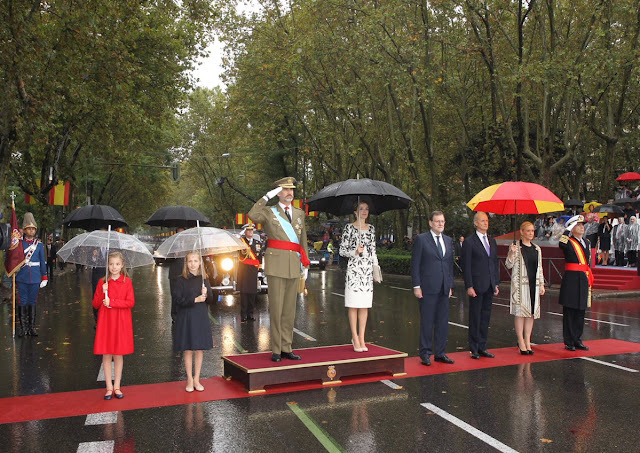 That wasn't the only shadow hanging over King Felipe as he led events marking Spain's National Day in Madrid. For this big moment was deluged by rain and the traditional military parade took place under leaden skies and relentless drizzle. As the Belgian State Visit to Japan reached day three, it was time to leave Tokyo and go travelling. The King and Queen of the Belgians had a focus on tourism for this part of their visit and they made like tourists themselves and hopped on the train to start day three.